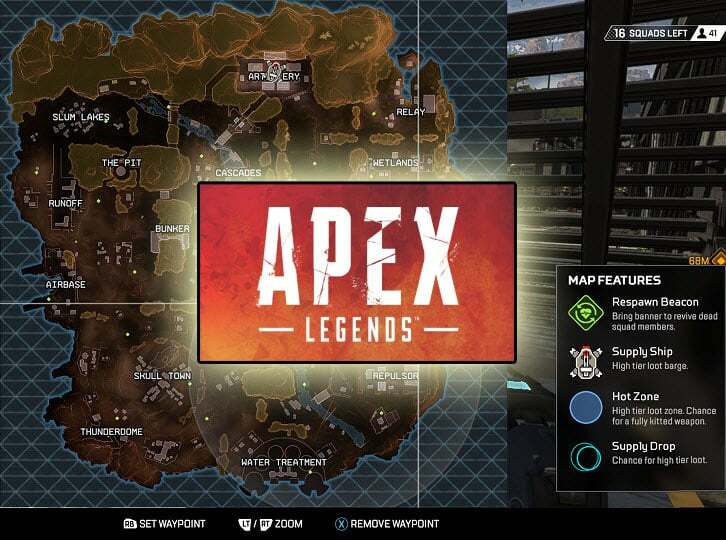 In this article we will revisit Apex Legends best drop locations with an update to some spots you can land in that will surely give you high tier loot. There’s a few drop locations, if they are within drop range, everyone will go to. The Supply Ship is one of them, and the Hot Zone where the light is beaming to the sky. 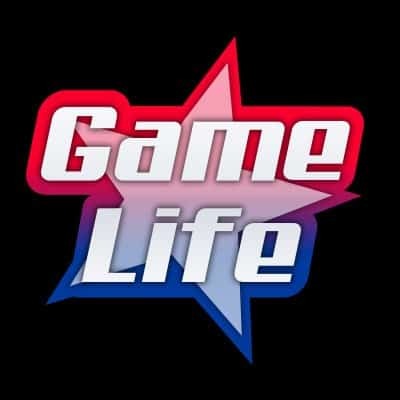 Both are random each game. If you cannot drop in these locations, or have the skilled squad to stay alive when enemies drop there also, you have spots that will yield probably high loot. Location #1: AIRBASE – When your team drops here make sure to land either near the space ships on the runway, or close to the buildings facing the runway to ensure you and your squad can equip guns right away. 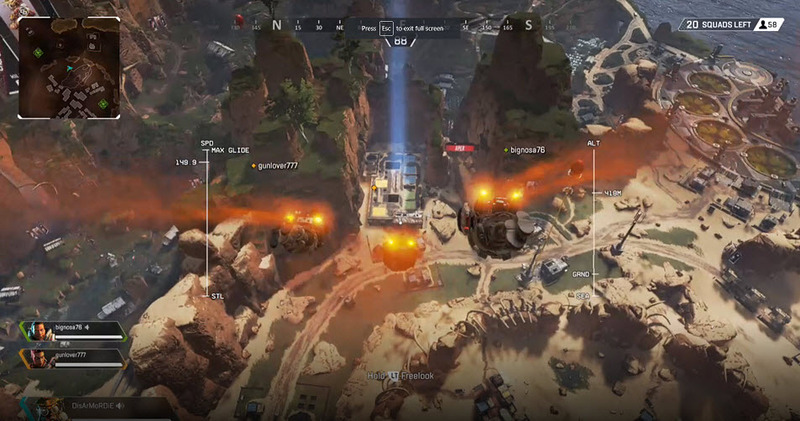 It will happen that the jumpmaster will land in the open or not strategically which will have everyone scramble to find supply crates or loot leaving you vulnerable to an attack. If you can land properly, you’ll likely make it out of there alive to advance to the next circle with some nice gear. Location #2: SKULL TOWN – This area is usually high contested also for it’s selection in loot. You and your squad can really gear up because of the many loot areas. You have lots of buildings, but also the roof area. This location makes moving to the next circle easier as you have a few deployment air balloons. Location #3: BUNKER – This drop zone will always have great guns to equip and possible high tier armor. Because it’s a bridge between the Cascades area and Runoff, you can easily check these areas out with some powerful guns to keep your squad progressing. One tip to keep in mind is don’t stay inside the Bunker area if it’s just outside the circle closing in as enemies will be aware of this and keep an eye out for any Squads exiting potentially making it difficult to leave and box your squad inside as the circle is closing in.